With stunning album-length explorations of jazz and 1950s acoustic skiffle and a country-rockabilly collaboration with Linda Gail Lewis behind him, Van Morrison continues exploring classic country with compelling reinterpretations of standards from the 1950s to the 1970s. He reaches back over half a century for Hank Williams Sr.'s "Half As Much," "Your Cheatin' Heart," and "My Bucket's Got a Hole in It" and Webb Pierce's landmark honky-tonk hits "Back Street Affair," "There Stands the Glass," and "More and More." Moving to the mid-'60s, he capably explores George Jones's "Things Have Gone to Pieces" and Connie Smith's "Once a Day." The 1970s are his limit, however, as he probes Rodney Crowell's "'Til I Gain Control Again." Three Morrison originals blend nicely into this mix, as do two non-country favorites: Chuck Willis's "What Am I Living For" and a gleeful spin on Blue Lu Barker's 1938 jazzy, single-entendre favorite "Don't You Make Me High." 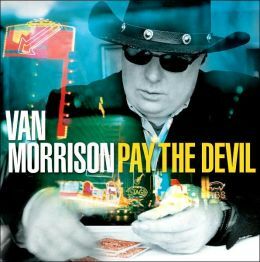 Recorded in Ireland with uncluttered hard-country backing, Pay the Devil reiterates Morrison's own musical diversity and flair for making any song his own.